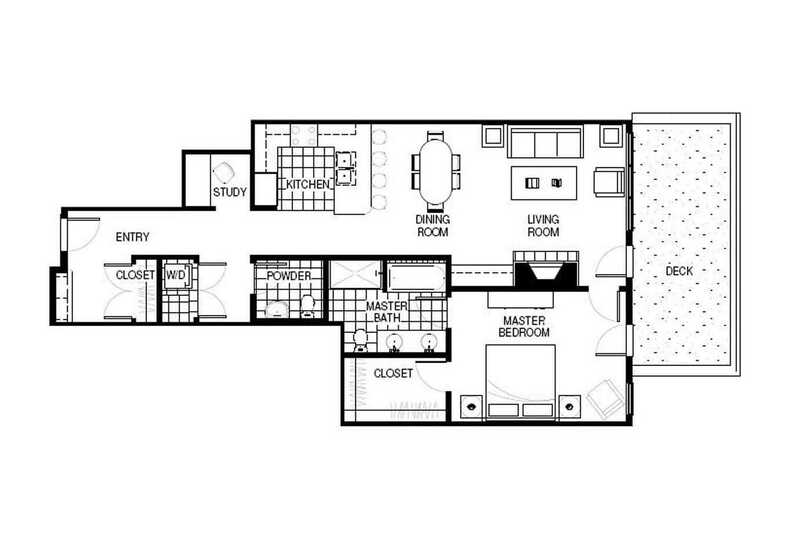 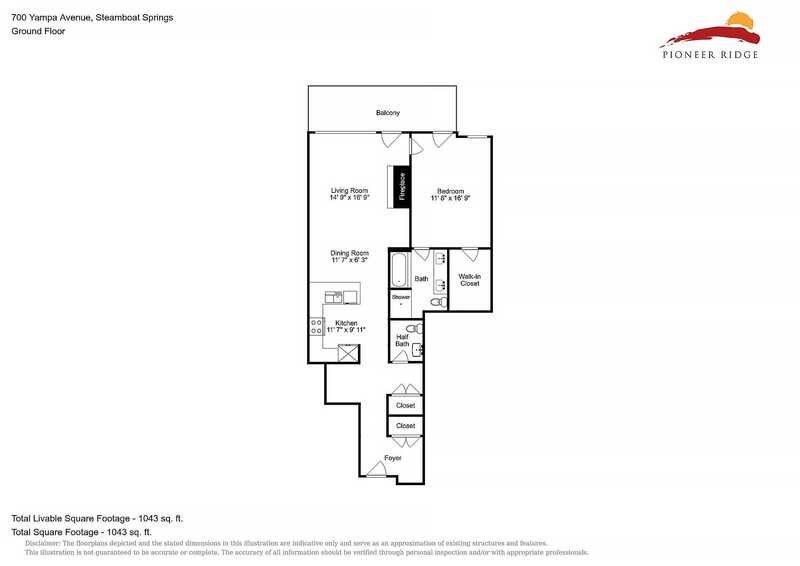 This 1,136 square foot residence offers the comfort of a home with its spacious layout and well defined living spaces. 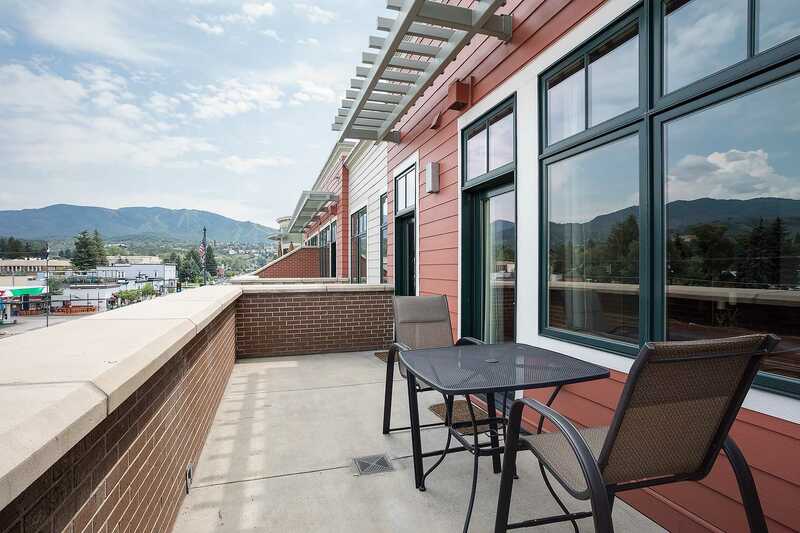 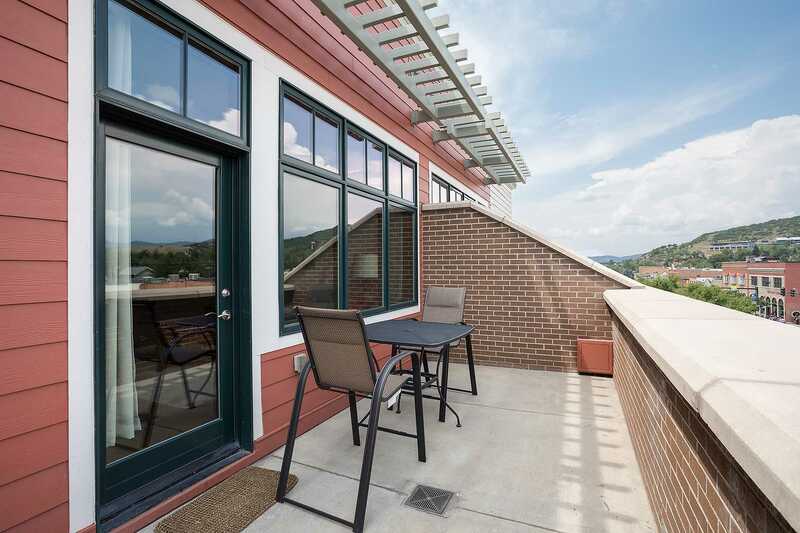 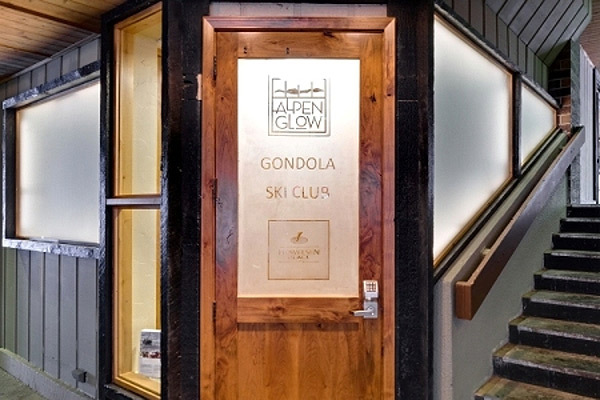 Enjoy the luxury finishes, designer décor, and the convenience of staying in downtown Steamboat Springs. 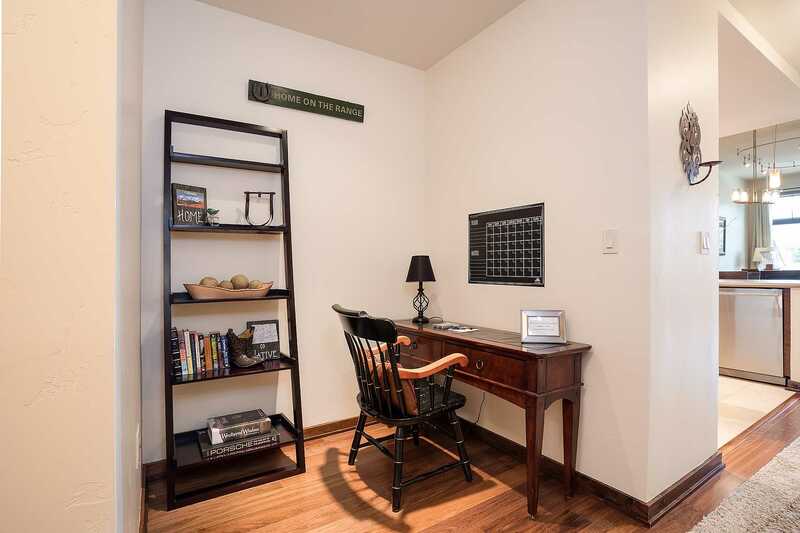 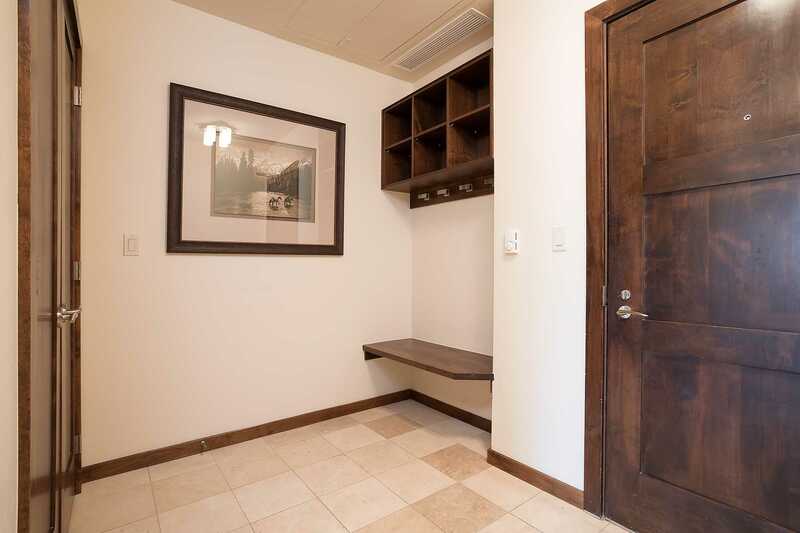 The residence open floor plan flows nicely from the entry area with built in bench and closet, past the in-residence laundry, powder room and study nook. 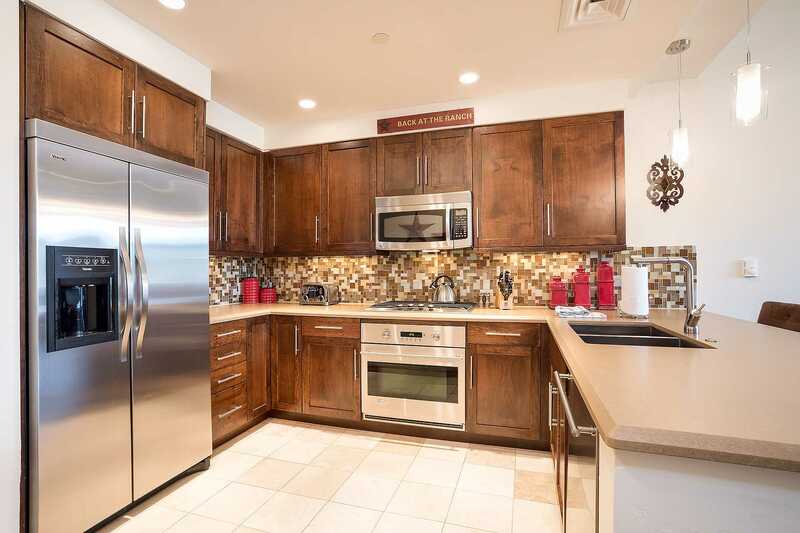 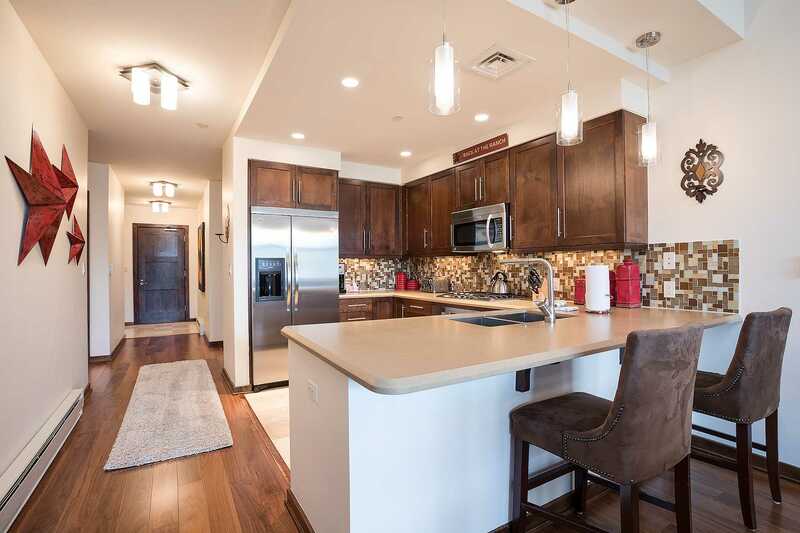 The modern kitchen is sure to please any entertainer with sleek top of the line stainless steel appliances, rich cabinetry and stone countertops. 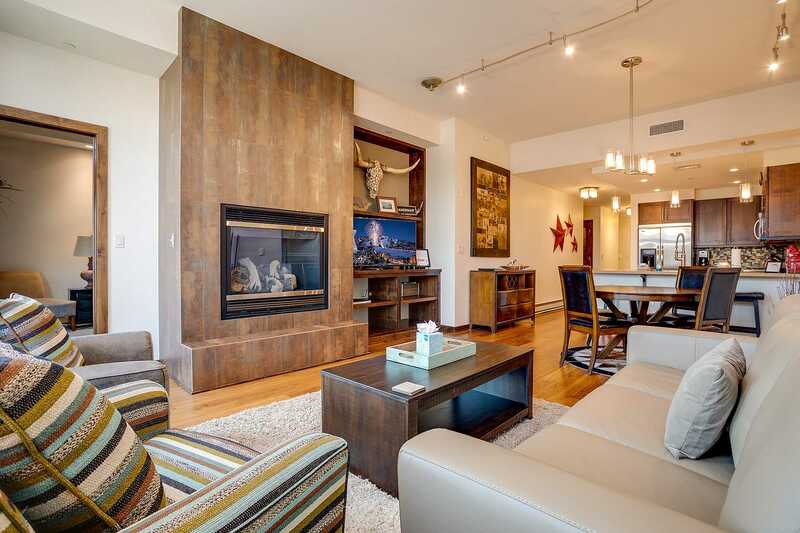 The living space has gorgeous wood floors that run the length of the space, stylish metal surround fireplace features as a dramatic focal point of the room, offering a blend of contemporary and urban loft design elements. 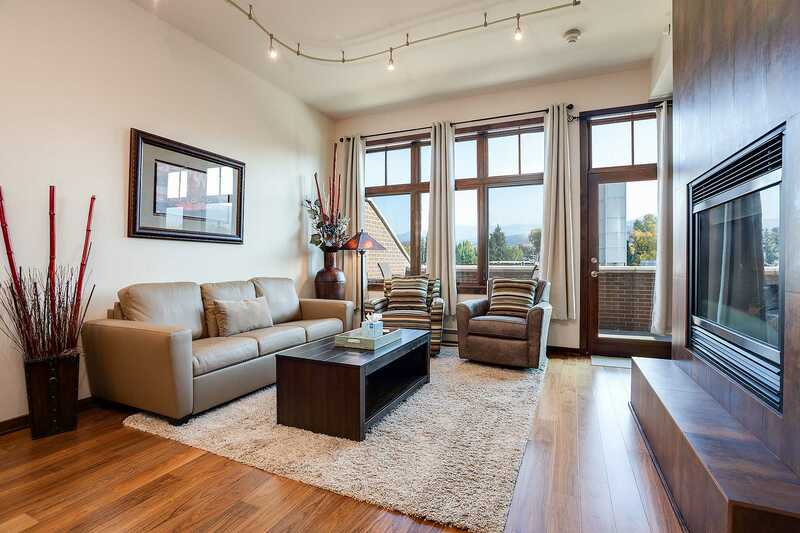 The living space also features large windows that bath the room in lovely natural light as well as offering views of the surrounding hillside and downtown area. 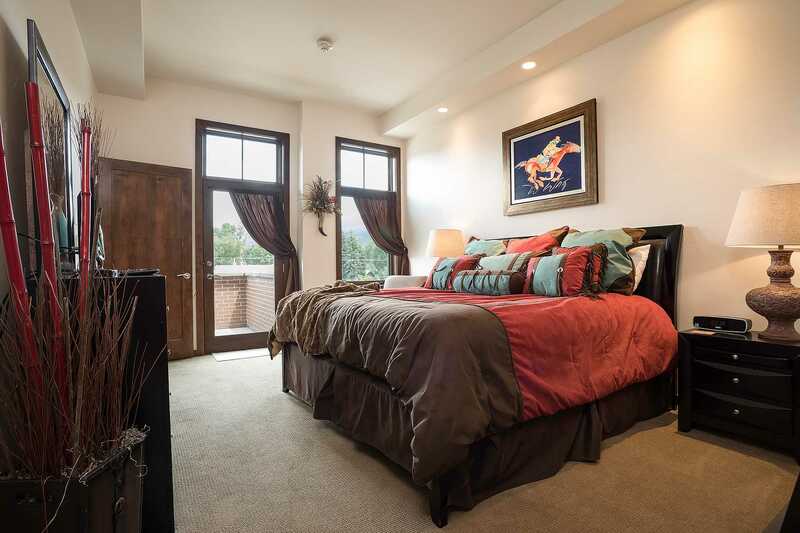 The residence has a private deck which can be accessed from the living room and bedroom. 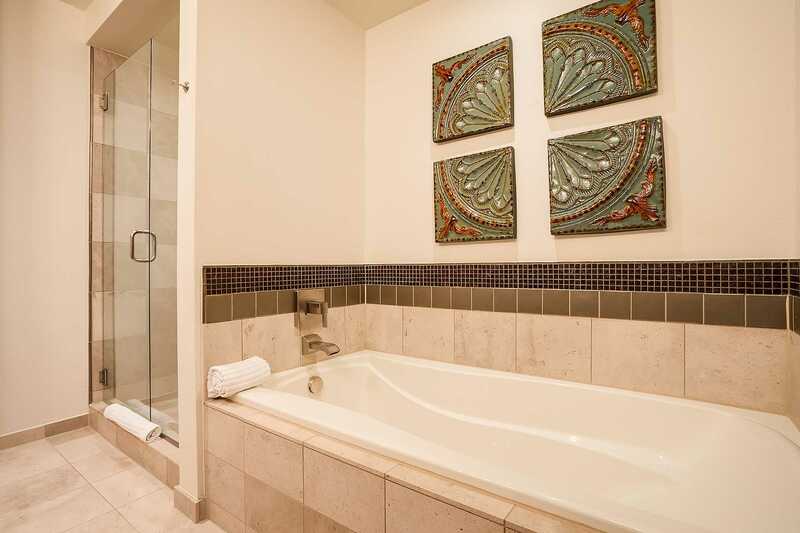 The master bedroom is well appointed with king bed, walk in closet, and stunning master bathroom with deep soaker tub, walk-in shower and double vanity. 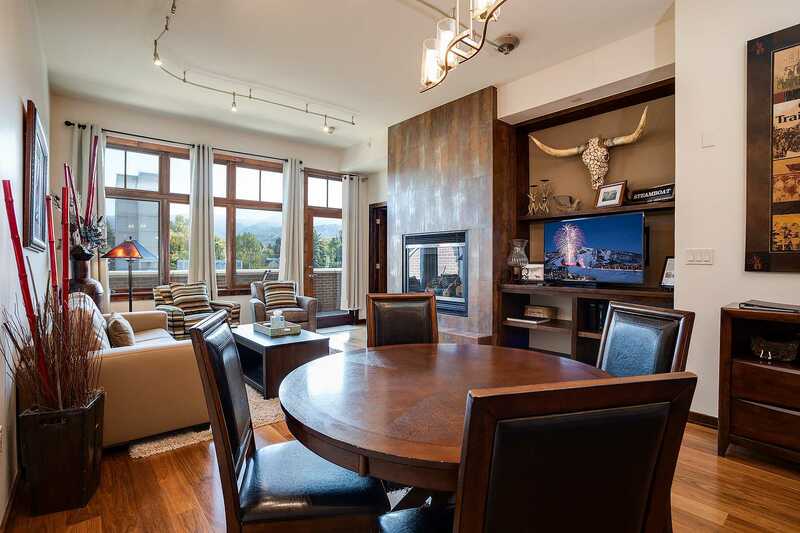 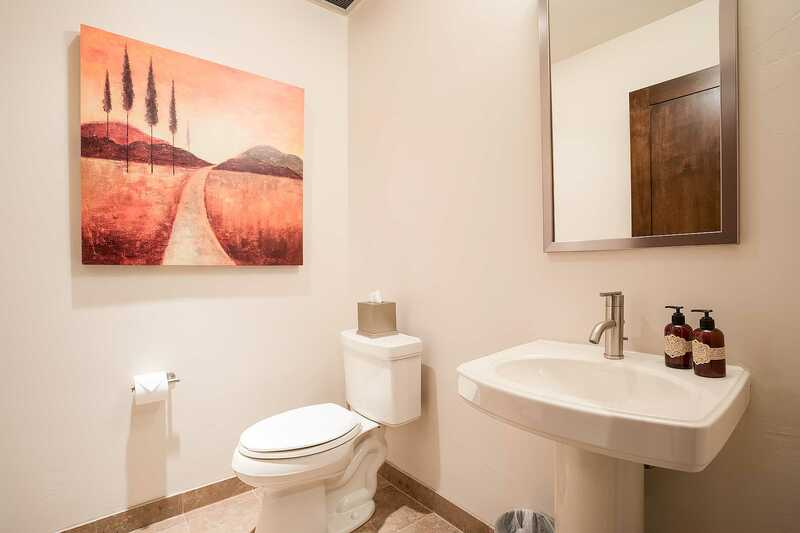 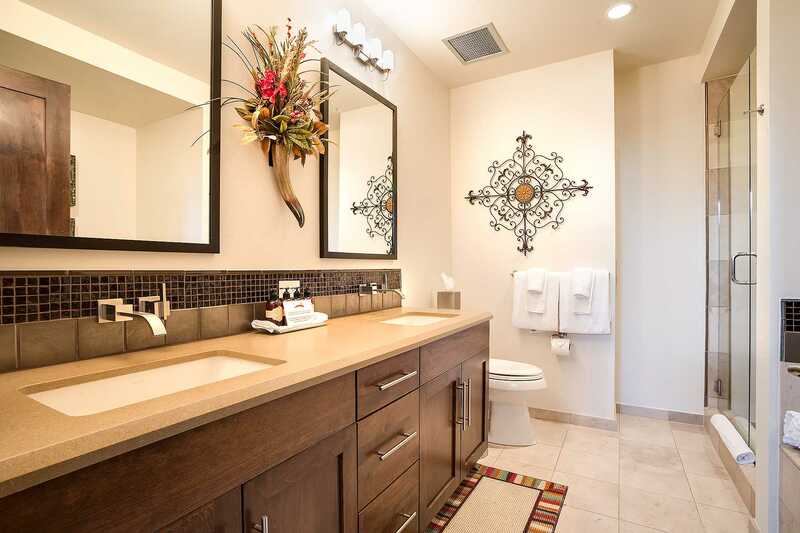 This well presented residence offers modern interiors with warm and playful accents through western décor and artwork. 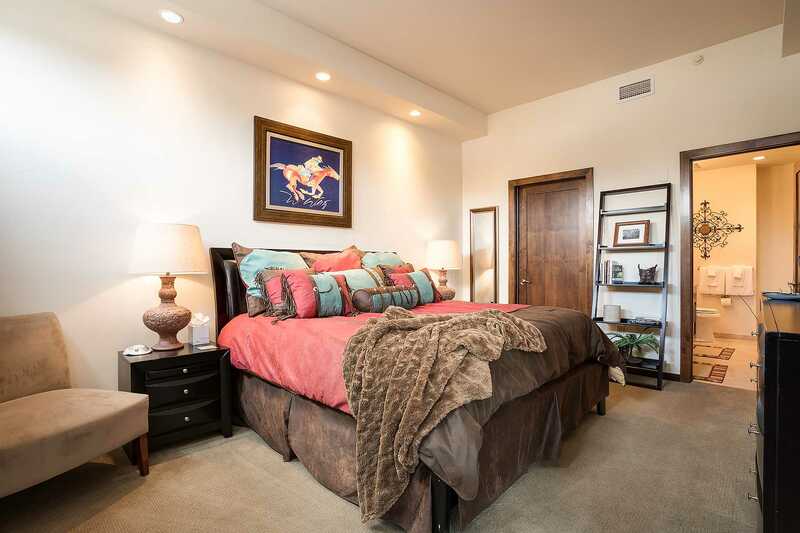 Calculate rates, confirm dates and book H305B - Howelsen Place online.